Guitar Intonation is the accuracy with which your guitar keeps in tune as you play chords in various positions on the neck and is an integral part of good guitar set up. Not only can poor guitar intonation can really knock your confidence as a player and hamper your development, but in the recording studio it can make a recording engineer's life really difficult and render an otherwise good guitar take, unusable. Worse still, to an untrained ear it can make you sound like a bad player. The usual tell tale signs of poor guitar intonation are chords becoming progressively more out of tune as you move higher up the fretboard. 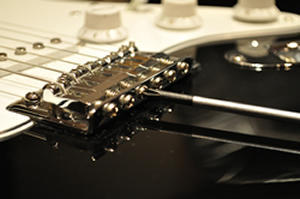 The first thing to note is that there a number of things that can affect guitar intonation, some of them are things that should be addressed by a proper guitar technician, unless you want to risk experimenting with your precious guitar. But there are also a number of things that you can adjust yourself. 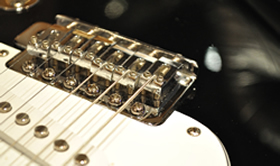 Fret spacing and incorrect positioning of the saddle. This is uncommon and usually found on really cheap mass produced starter models. Excessive relief on the guitar neck causing too much of a bow in the middle of the neck will cause intonation problems, as will worn out frets. Truss rod adjustment will normally correct excessive bow whilst a fret stoning or more drastically a re-fret will cure the latter. All of the above are really guitar tech territory. Different Tunings. If you change the tuning of your instrument, say by tuning down a half step, in doing so you will reduce the string tension and thereby the tension on the guitar neck. This will result in a lower action and effect the intonation. A change in humidity, a change in the gauge of string used and general small movements in the body and neck of your guitar will all affect your guitar's intonation. These things you can address yourself by adjusting your intonation. See below. Finally and most importantly is your playing technique. An excessively powerful fretting technique will push notes slightly sharp if pressed too hard, particularly if the frets are high. 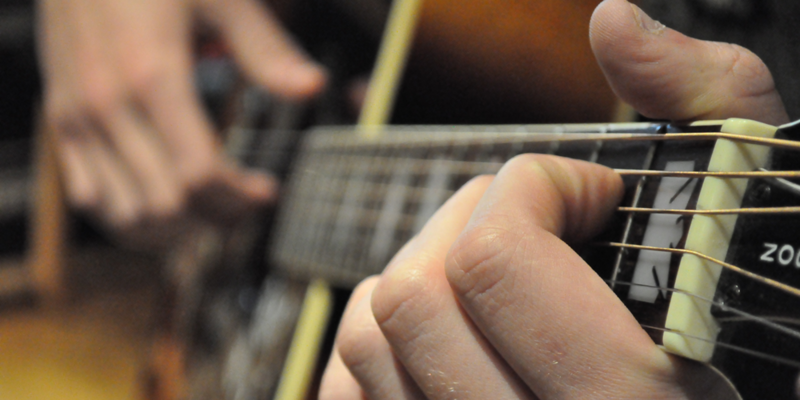 When assessing your intonation it's crucial that you study closely how you are fretting the chord making sure that you apply only the minimum pressure sufficient to sound the notes of the chord without buzzing, but also beware that your grip isn't causing you to pull any of the strings out of line, again causing the note to sharpen. Firstly having decided on the preferred gauge of string, fit them and stretch them in properly by giving them several firm tugs retuning with each stretch. Adjust the action to taste; retune and you are now ready to set the intonation. Making sure that you have a good accurate tuner to hand, you are now ready to set the intonation. It's important to note that you must always adjust the intonation with the guitar in the playing position and not with the guitar laid down as the weight of the neck will affect the action and therefore skew the intonation measurements. The principle is to move the saddle for each string forwards or backwards to shorten or lengthen the string so that the pitch of the note on the 12th fret matches exactly the pitch of the harmonic at the 12th fret or the note of the open string (albeit an octave apart). Making sure that the open string is exactly in tune, fret the string at the 12th fret and check the tuning. If it registers sharp then the string needs to be lengthened to lower the pitch to match the open string (or the 12th fret harmonic). To do this, adjust the saddle so that it moves further from the neck. Conversely if the 12th fret tuning is flat then the string needs to be shortened to raise its pitch to match the open string (or the 12th fret harmonic). To do this, adjust the saddle so that it moves closer to the neck. When measuring the tuning always make sure that all other strings are properly muted to ensure an accurate reading and of course don't press too hard at the 12th fret. Once done you should find that your guitar's tuning should be good all the way up the neck. If it isn't and re-checking the intonation doesn't fix this, then refer to your guitar technician for a more qualified check. Good intonation on a well setup guitar will make your guitar feel great, help your playing and give you confidence in your tuning.